Welcome to the Star Wars galaxy as you’ve never seen it before – made out of LEGO blocks! 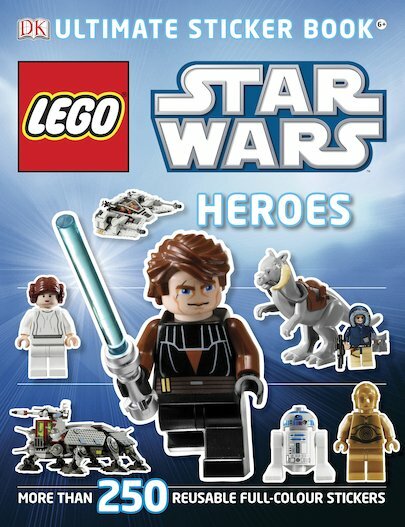 Join Anakin, Luke, Yoda and all the fearless heroes on an intergalactic quest full of stickers to stick in! As you voyage through this amazing LEGO landscape, you’ll meet the brave warriors who fight endlessly with the Force to protect the rights of others – as well as the droids, vehicles and weapons that help them on their way. With over 250 stickers to reuse again and again, you’ll never run out of adventures!